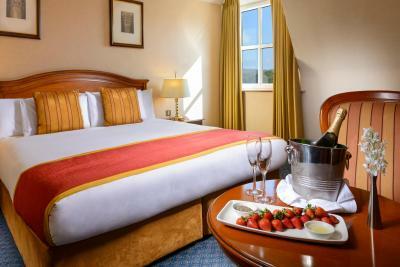 Lock in a great price for Killarney Plaza Hotel & Spa – rated 9.1 by recent guests! Great location for seeing the city. Easy access to touring and exploring Ireland. Nice breakfast buffet and quiet clean room and facilities. Also the parking was important. We loved our stay. Our room had a great view. The bed was like a cloud. We could have slept all day, it was so quite. The fireplace in the lobby was a great place to warm up after running around all day. The staff went out of their way to be helpful. What more could you ask for? A soak in the hot tub was just the best. Great walking location to pubs, restaurants and parks. It was quite comfortable and close to everything. I’d especially like to commend Johanna, Anna, Billy and William for being so personable and helpful during our stay. It was a lovely lovely time in Killarney. Hope to stay there again. Location was excellent. Walk to everything! Hotel and staff were professional - more than we ever expected! Beautiful decor, great bars, restaurants and pool plus perfect location in the town centre, friendly staff. The hotel and its environs were very clean. Staff were friendly and helpful overall my staff was short but well worth it. Customer service was A1. Breakfast options were plentiful. Location made it easy to walk to town for dinner. Parking was a plus. AWESOME building, GREAT services and LOTS of extras: pool, spa services, etc. REALLY wonderful! 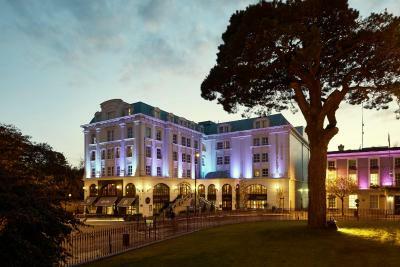 Killarney Plaza Hotel & Spa This rating is a reflection of how the property compares to the industry standard when it comes to price, facilities and services available. It's based on a self-evaluation by the property. Use this rating to help choose your stay! 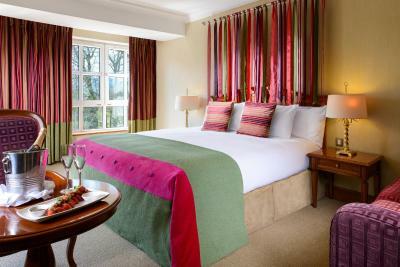 The 4-star Killarney Plaza Hotel overlooks Killarney National Park. 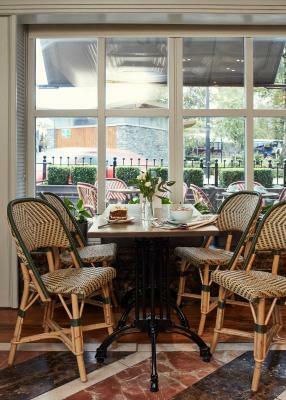 It features a gourmet restaurant, an indoor pool and spa and free parking. 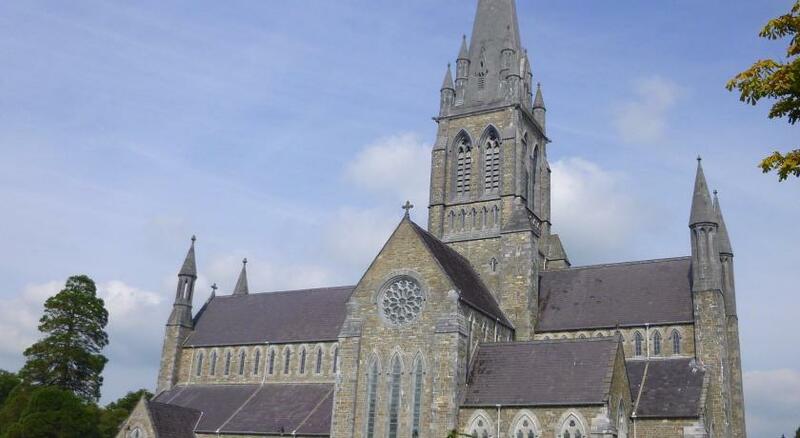 St Mary’s Cathedral is a 5-minute walk away. Air-conditioned rooms at the Killarney Plaza have flat-screen satellite TVs and free Wi-Fi. They also feature marble bathrooms, bathrobes and slippers. The Plaza Hotel has many treatments available at the Sundari Spa. There is also a spa bath, sauna, steam room and gym. Gourmet cuisine is served at the Restaurant Petrus. 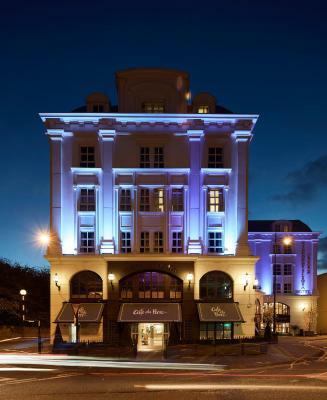 The Grand Pey offers breakfast and dinner and there is a bar menu at the Plaza Bar & Grill. The Champers Piano Bar offers a selection of cocktails, fine wines and cigars. The Cafe Du Parc has 5 bars spread over 4 levels. 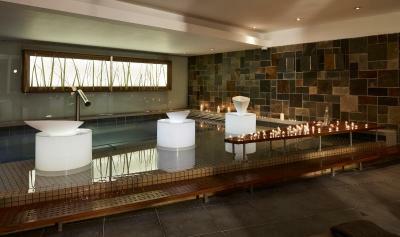 When would you like to stay at Killarney Plaza Hotel & Spa? This elegant, air-conditioned room is furnished with rich wood, silk and brocades. The Italian marble bathroom has both a shower and bathtub. Includes a king bed, flat-screen TV and complimentary toiletries. 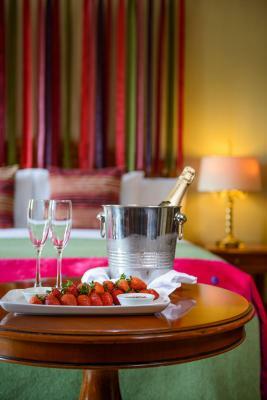 House Rules Killarney Plaza Hotel & Spa takes special requests – add in the next step! Killarney Plaza Hotel &amp; Spa accepts these cards and reserves the right to temporarily hold an amount prior to arrival. Killarney Plaza Hotel & Spa accepts these cards and reserves the right to temporarily hold an amount prior to arrival. Parking is free between the hours of 6pm – 8am Mon-Sat. Sundays and public holidays are free. Ramp needed for suitcases down to parking garage. the staff were so friendly and accommodating, Sara at the main reception was really helpful and even arranged for a complimentary bottle of wine for my boyfriend's birthday. the location was perfect and the leisure centre was really nice. the food at the tan yard was delicious,I would definitly stay there again. If I had to be picky, the only thing I disliked was the car park. The spaces are a bit tight. While the Spa is beautiful inside in it. The service was so bad. I’ve never been to a spa where I was treated so poorly. I’d still stay in the hotel again but just skip the spa! The surroundings were amazing, the food at The Tan Yard. The bathroom in my suite and I’d especially like to me to mention Sara at check out. The beds were a bit stiff. Had to sleep on my side as sleeping on my back made my back ache. Staff was friendly and courteous. Breakfast buffet was tasty. I liked getting a small pot of coffee to keep filling my cup from. Great location as it is close to many shops and pubs.